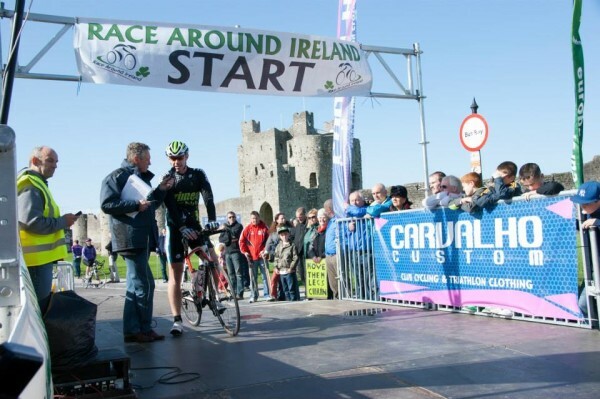 This Sunday a group of hardy cyclists will leave Trim, Co Meath, for a jaunt known globally as the Race Around Ireland. It is a gruelling test of stamina for every cyclist, but also for their considerable support team of drivers, navigators and general helpers. Never heard of it? Well here are the 13 magic numbers to get you up to speed. The number of kilometres the racers will take in all over Ireland during what must surely rank as the hardest test of endurance in any sport on the island. The maximum number of hours the pain can last for, after which point solo riders are teams are non finishers. The solo riders, tandems and two-person teams have 132 hours in which to finish the race. And the four-person and eight-person teams, working in relay, are allowed 96 hours. The number of riders taking part in this year’s edition, rolling out from Trim Castle this Sunday, August 30th. 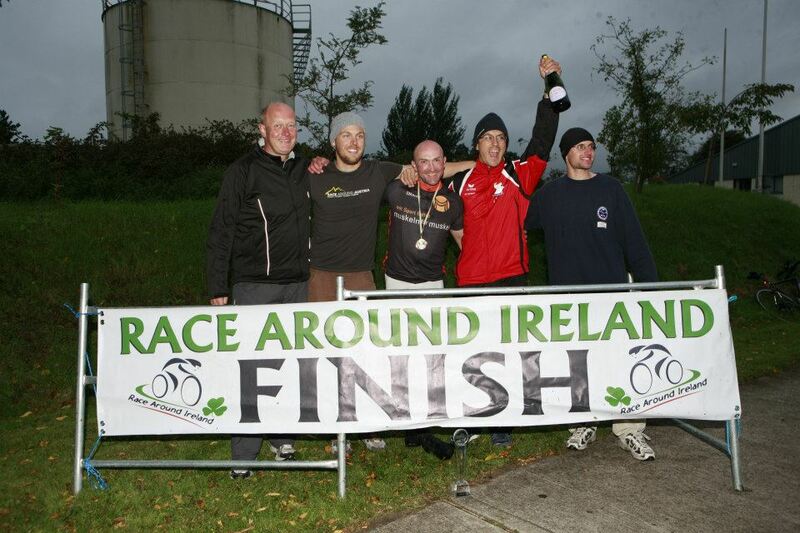 That’s the ranking of the Race Around Ireland in the Ultra-Marathon Cycling Association’s World Cup series. It is the UMCA European Long Distance Championships, and the 66th leg of the 90-race UMCA World Cup. It is one of only four championship events that offer coveted double points to victors, making it the highest grade of race available on the circuit. It’s a big deal in the ultra cycling world as one of the longest events available and a popular European-based trial for the 3,000km Race Across America. As a consequences it has this year attracted German superstar Michi Hange, currently second in the men’s world standings after winning the Race Across Italy and finishing second in the Race Across Slovenia, and Brazilian Daniela Genovesi, the Race Across Italy’s female winner who is fourth in the women’s world standings. Riders from all over the world travel to Ireland for this race and this year there are 10 nations involved: Brazil, Denmark, Germany, Holland, Ireland, Lithuania, Mexico, the US and the UK. When you’ve cycled your legs off for the day, the best feeling in the world is putting them up on the sofa and necking a cup of tea. For the RAI solo racers, tea will be served, but in a blur as to maximise their chances of winning they will be riding for 22 hours at a time. The RAI field is split into two categories: solo racers, tandems & two-person teams and four-person and eight-person teams. The cut-off time for the first group is 132hrs or five and a half days. This means that an average of 390km needs to be covered by the solos, tandems and two-person teams for them to make it back to Navan in time. The four and eight person teams on the other hand have only 96 hrs – or four days – and must cover an average of 537.5km daily to beat the buzzer. Easy, right? Two years ago Christoph Strasser from Austria set a new men’s solo record of 23.69kph, beating German Bernd Paul’s 20.63kph set two a year previously in 2012. That’s the race number of the pioneering Average Josies from Maynooth Students For Charity Cycling Club. Inspired by the win of their teammates the Average Joes in the 8-man category last year, these eight women will become the first all-female 8-person team to take part in RAI. In an excellent tactical move, they have built their team from ladies that hail from seven different counties, setting up a winning network of support along the road as they bid to beat the four other 8-person teams. And the Average Joes [#402] are back t0o, shedding some weight to take on four rivals in the 4-man category. Track them here. 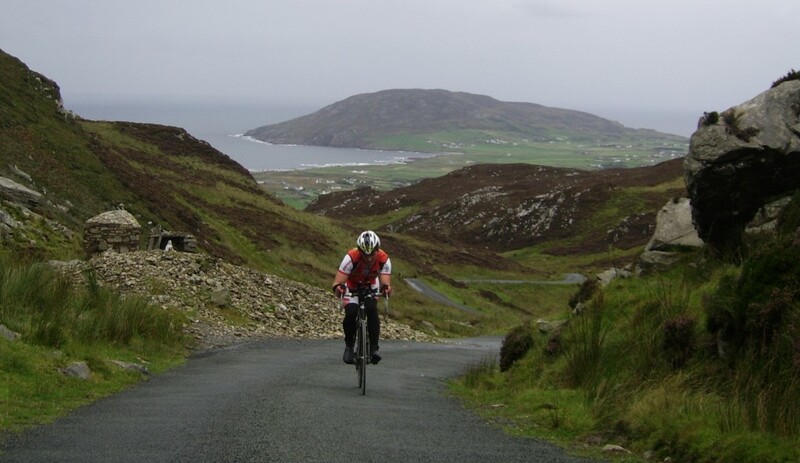 Taking in giants like Mamore Gap in Donegal, with a maximum gradient of 25%, the 11% Long Woman’s Grave in the Cooley Mountains, and County Kerry’s infamous Sliabh Mish, Gap Of Dunloe, Gap Of Ballaghbeama and Coomakista, the RAI is one of Ultra Cycling’s hilliest challenges. There are 22,655 metres to climb and descend, including the peaks above, Cork’s 25% screamer, St Patrick’s Hill, and Waterford’s 5km Mount Melleray, before a tour of Leinster’s finest on the run to home. The final two stages race over Mount Leinster, the Shay Elliott, Slieve Mann and Sally Gap, the top of which marks the end of the climbing and the start of a blisteringly fast 60km run-in. If you don’t fancy going down south and racing over Killarney’s peaks, there’s always the RAI’s other event, the Irish Ultra Challenge. At 1,100km this looks like the B race; it’s anything but. The number of hours those riding the Irish Ultra Challenge are allotted to finish the race. The solo racers, tandems and two-person teams have 68 hours to complete the course, with the four-person and eight-person teams allowed just 50 hours.